This Petsafe Staywell Tunnel Extension is compatible with the Petsafe Staywell Original 2 Way Pet Door (Small). 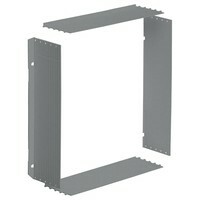 The tunnel measures 50mm (2”) deep and is safe and easy to install with the pet door. Petsafe Staywell Tunnel Extensions come with a 3 year manufacturers guarantee.